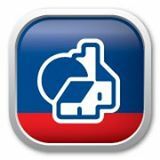 Nationwide Building Society has gone live on Murex’s MX.3 front-to-back-to-risk platform for its treasury business. The project replaced its legacy system (understood to be Openlink’s Findur) with an enterprise-wide treasury platform for its capital markets teams in the UK. MX.3 will be used for liquidity management, risk monitoring and operational risk management. Mark Rennison, CFO at Nationwide, says its existing architecture was “increasingly limiting our options for future activity as well as being inefficient for our day-to-day business activities” and the “rationalisation of operational processes would also remove unnecessary reconciliations between front office, back office and risk functions”. Once it selected Murex (back in 2014), Nationwide then engaged Sapient Global Markets, a Murex “alliance partner”, to perform an assurance assessment and implement the MX.3 for Treasury solution. Earlier this week, and in a separate development, Nationwide missed the deadline for the launch of the UK’s opening banking system despite a last-minute extension.